838 readers have visited this universe since Wolf's Bane109 created it. Welcome to Hogwarts, The School of Witch Craft and Wizardry! Voldemort has fallen and the Wizarding World is at peace once more. Years have passed since his fall and Harry and Co. have made a life for themselves. Now the new millennium has come and with it a new batch of first years, new spells, new friends, new dangers and most assuredly new adventures! The song finished, Flitwick steps forward and says, "When I call your name, please come and have a seat and I will place the sorting hat on your head." As he unfurls the scroll and call the names you become antsy and you hope the house is right for you, soon he calls your own name and you step up and take your seat onto the stool, the hat floats over your head and as soon as it's upon your head and your world becomes black. You then hear a voice. Only a few years have passed at Hogwarts after the famous Boy Who Lived vanquished the Dark Lord, He Who Must Not Be Named, whatever else one may wish to call him. The equally famous school had been rebuilt after The Battle Of Hogwarts, and eventually, there was peace. Peace for the next five years, until now...The faculty have noticed odd goings-on in the school, and they are afraid that maybe...Just maybe...the Darkness within Hogwarts hadn't gone away when He was defeated...Now, you are a new or returning student from Holiday, will you realize the dark truth that still lies within this ancient school, or will you too be one of the next targets of a dangerous and dark force? Gryffindor values bravery, daring, nerve, and chivalry. Its emblematic animal is the lion and its colours are scarlet and gold. Minerva McGonagall was the most recent Head of Gryffindor. Sir Nicholas de Mimsy-Porpington, also known as "Nearly Headless Nick", was the house ghost. The founder of the house was Godric Gryffindor. Gryffindor corresponds to the element of Fire. The common room was located in one of the highest towers at Hogwarts, the entrance was situated on the seventh floor in the east wing of the castle and is guarded by a portrait of The Fat Lady. She permits entrance if given the correct password, which is changed numerous times throughout the school year. 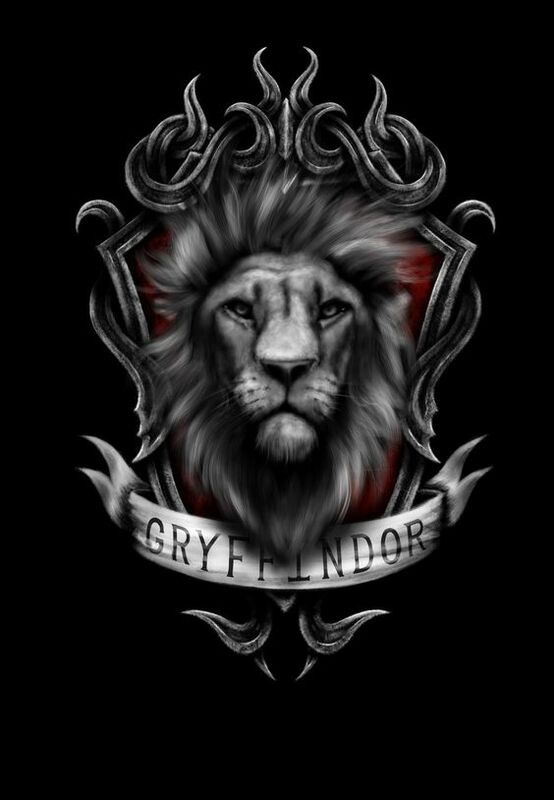 Famous Gryffindors include Albus Dumbledore, Harry Potter, Hermione Granger, Ron Weasley, Serius Black, and Celestina Warbeck. 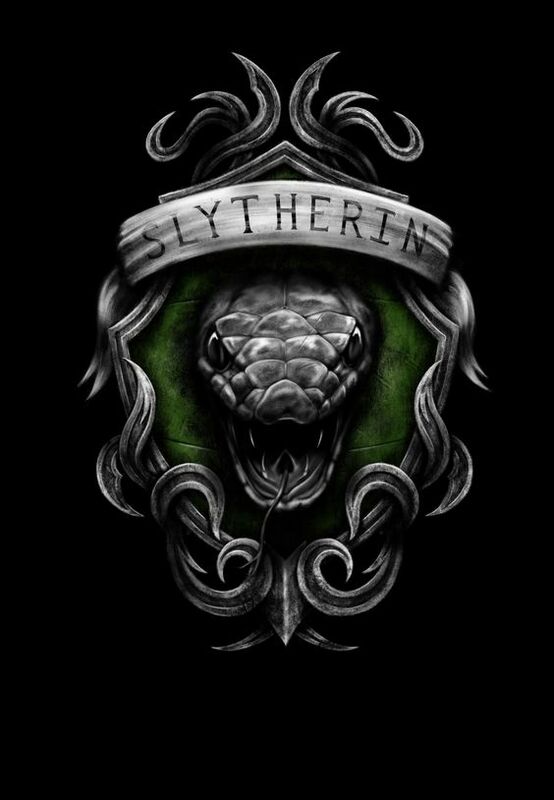 Slytherin house values ambition, cunning and resourcefulness and was founded by Salazar Slytherin. Its emblematic animal is the serpent, and its colours are emerald green and silver. Professor Horace Slughorn was the Head of Slytherin during the 1997–1998 school year, replacing Severus Snape, who as well, replaced Slughorn as Potions Professor when he retired for the first time several years prior. The Bloody Baron is the house ghost. The founder of the house was Salazar Slytherin. Slytherin corresponds roughly to the element of water. The Slytherin dormitories and common room are reached through a bare stone wall in the Dungeons. The Slytherin common room lies beneath the Black Lake. It is a long, low underground room with rough stone walls and silver lamps hanging from the ceiling. Famous Slytherins include Merlin, Tom Riddle, Draco Malfoy, and Dolores Umbridge. Ravenclaw values intelligence, knowledge, and wit. Its emblematic animal is the eagle, and its colours are blue and bronze. The Ravenclaw Head of House in the 1990s was Filius Flitwick. The ghost of Ravenclaw is the Grey Lady, who was the daughter of Rowena Ravenclaw, the house's founder. Ravenclaw corresponds to the element of air. The Ravenclaw common room and dormitories are located in a tower on the west side of the castle. Ravenclaw students must answer a riddle as opposed to giving a password to enter their dormitories. This riddle, however, can be answered by non-Ravenclaws. 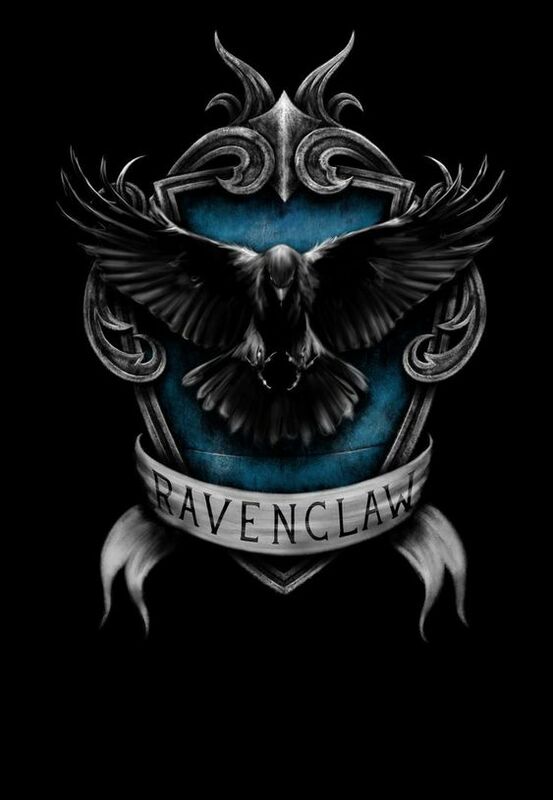 Famous Ravenclaws include Gilderoy Lockheart, Ignatia Wildsmith (inventor of Floo powder), and Garrick Ollivander. 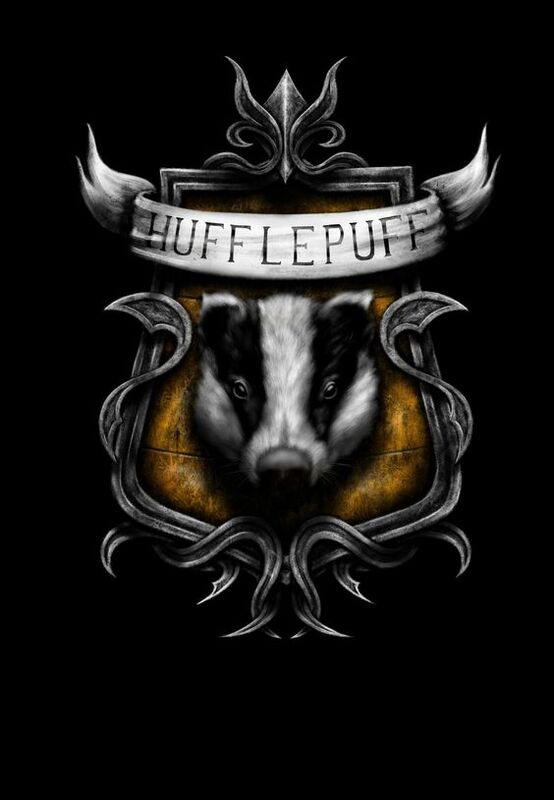 Hufflepuff values hard work, dedication, patience, loyalty, and fair play. Its emblematic animal is the badger, and Yellow and Black are its colours. Pomona Sprout was the Head of Hufflepuff during 1991-1998, Sprout left the post of Head of Hufflepuff and Herbology Professor sometime before 2017 and her successor for the position of Head of Hufflepuff is currently unknown. The Fat Friar is its ghost. The founder of the house was Helga Hufflepuff. Hufflepuff corresponds to the element of earth. The Hufflepuff dormitories and common room are located somewhere in the basement, near the castle's kitchens. It can be accessed by tapping the barrel two from the bottom, middle of the second row in the rhythm of "Helga Hufflepuff" and is described as being a cosy and welcoming place with yellow hangings, fat armchairs, and underground tunnels that lead to the dormitories, which have perfectly round doors, similar to barrel tops. Famous Hufflepuffs include Cedric Digory, Hengist of Woodcroft (founder of Hogsmeade), Newt Scamander (author of Fantastic Beasts and Where to Find Them), and Artemisia Lufkin (first female minister for magic). here. Please provide basic backround for your character, as well as any hostory they've had at Hogwarts if not their first year. Commitment, that's the main thing. But if you must drop out due to life issues or what have you, all I ask is that you let us know. Either in the OOC thread or DM's to me, lemme know. This will be a mature themed story, meaning romance and darker themes are welcomed here, but know when to cut back on it and keep it within this site's TOS (Terms Of Service). I don't want anyone getting in trouble because someone broke the TOS, ya know? Swearing and mature themes, those are allowed and welcomed, just know when to fade to black in overt romantic scenes, alright? Rather simple, in mu opnion. Post length, this is meant to be a fairly literate story, meaning posts must at least be a paragraph or two. No single sentence replies or text talk is allowed, okay? It gets rather annoying and can take people out of the story. Drama, there is a define line between OOC drama and IC drama. If you have an issue with another player, do not. I repeat, do NOT take it out in a public place. If you have an issue with someone in the story, come talk to me and we can settle things like adults, I've seen too many RP's be ruined due to personal issues between writers. All I ask, drama is welcomed in the story, but keep real life problems out of the chat threads, please. Lastly, just have fun! This is meant to be something we can work on and have fun with. If you have anything to suggest plot wise, feel free to share it piblically. Let's discuss possible outcomes and situations that can arise! This is meant to be for fun, but also be taken just serious enough where we're not ruining it, ya know what I mean? 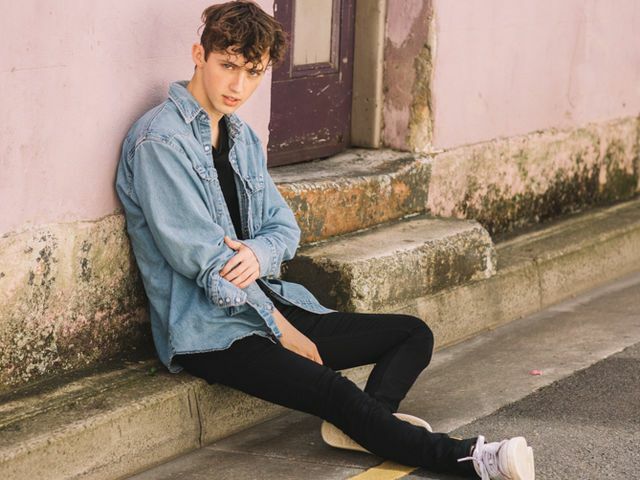 There have not been any posts in this roleplay. The smell of fresh smoke. The rumbling of voices echoed. The clatter of metal trollies scraping across the ancient station's stone brick floor, as well as the thudding of countless footsteps of first years. The old train station that secretly held the platform known as Nine and Three courters was alive once again. First year students were mixed among the older students that were simply saying goodbye to their loved ones and got onto the train, as the young ones shed a few tears as they'd be leaving their wizarding parents or guardians for the first time. Where were they off to? No other place than Hogwarts, the School Of Witch Craft and Wizardry. It was once the most popular wizarding school in the world, secretly tucked away in Scotland. Hidden away from Muggle knowledge, as well as the rest of the world, that was until the year of May 2nd, 1999. A tragic event that shook the world by storm, The Batte Of Hogwarts. The Dark Lord, whatever else one may want to call him, Lord Voldermort who was once called Tom Riddle, and his band of Death Eaters and followers attacked the school simply for the last Horcrux, as well as Pure Blood Supremacy and to end all blood ties that weren't prior. But there was one thing that stood in his way, Harry Potter, The Boy Who Lived and all the students that gave their lives to help defend the old school, and each other. But with years passed, the death of Voldemort and few of his underlings still hiding in the shadows, Hogwarts has slowly come back to its former glory. It has been eight years since the Battle Of Hogwarts happened, and the reopening of the school. A handful of old professors returned to the school, as well as a few others. This would be a hopeful year for the students, as some are going for their last year, or their first year at the famous school. Students young and old said their goodbyes and slowly boarded onto the train. Among the students that boarded the train, was a rather well known blonde haired, female Slytherin. She had shown promise in the past few years not only in Quidditch, but as a spell caster and a future healer as she had shown great interest in healing spells. The young Witch silently boarded the train with few supplies as she had come alone, as she always had years prior, even her first year she came by herself, only to have been greeted by Professor Slughorn. He had helped her with her things, picking out her wand and pet, and her books. But that was years ago, and now she was by herself. She stepped onto the train and walked silently to the back of the train, and sat in an empty coach by herself, as the voices of countless students sounded throughout the small train. 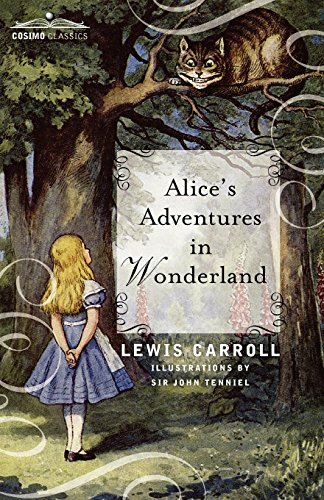 She sat by the window on the side and put down her book bag and removed a small book from the bag, it was one of her long time favorites and read silently as she resumed to go into the world of ALice In Wonderland, cutting out the outside world entirely as she read. Meanwhile on the platform outside, a small brown haired girl stood, gazing at the station that housed the old train she had been told about by the one that helped bring her here, none other than Rubeus Hagrid, the caretaker of magical creatures. He helped her find her wand at Olivander's, her pet which she chose a small, white ferret, and her books. He gave her goodbye as she would have to be on the train by herself, and that he'd see her when she arrived at the school. The young girl nervously gripped her small bag that was on her back, holding Lily closely to her body as she stepped onto the train. She was accidentally slammed into the side of the train as a much larger student accidentally walked into her, "Sorry!" he yelled as he looked over his shoulder, which only caused her to give him an awkward smile and in almost a whisper spoke, "It's okay...M-My bad." she stuttered and continued walked down the aisle of the train, trying to find any spaces where she could sit. All had been full that she saw, and slowly made her way to the back of the train, where an almost entirely empty coach was open, as a blonde girl was sitting in one of the spots, reading a book. The young girl smiled as she nervously spoke to the woman sitting in the seat, "I-is it okay if I take a seat? A-all the others are full..." she said with a timid voice. The blonde woman looked up and smiled when she saw the young girl ask if it was alright to sit with her, "Of course, sit wherever you want." she said with a small nod, glancing at the girl, then back at the book. The young girl smiled, and trolled into the room, and sat down on the opposite side of the room, placing her bag down and held Lily close to her, in her lap. "My name's Violet. Violet Marsden..A-and you?" she asked with a small tinge of nervousness in her voice, while she was outgoing, she couldn't help but be filled with immense anxiety that filled her. The older girl gave a brief smile and nodded, putting her book in her lap, "It's nice to meet you, Violet. I'm Jessie Carter. Nervous? As I can tell it's your first year. You'll be fine, I'm sure of it." she gave her a gentle nod. Violet gave her a cheery smile as the woman that introduced herself seemed nice enough, "Th-thank you, Miss Carter. I've just never been out of London before, never mind to a different country." she said with a nervous chuckle. Jessie gave the girl a small chuckle, which was almost entirely undetectable, "Jessie will do just fine. But as I said, Hogwarts will be your new home, and you'll be fine. Nothing has happened aside from what happened on my first year. Besides, if anything does, you'll have plenty of stong Witches and Wizards by your side." she gave a small grin. Violet's eyes widened at the mention of a terrible event, "Y-you mean you were there? At the Battle? I only heard small parts of it..I'm sorry about that.." she said with a tone of sadness. Jessie shook her head, "H-how about we don't talk about that, huh? Everything will be fine. You'll be sorted into a House and everything will be just peachy, alright?" she said to the small girl, who only nodded and as they waited for the rest of the passengers to board they made small talk for a few more moments. The hustle and bustle of Platform Nine and Three-Quarters never failed to make Skye a little more at ease. Especially now that it was only her mother trailing along behind her, the constant calming presence of her father gone. "Skye. Your hair is... changing colour." The venom in her voice was evident, and Skye clenched her jaw, taking a deep breath to return her hair back to blonde. She kissed her mother on the cheek, before swinging her trunk, broom and Koneko's cage into the train. She made her way down the train, looking for either a friendly face or an empty compartment. Finding an apparent lack of the former, she settled for the latter, leaving Koneko's cage on the seat beside her. She exhaled heavily, trying to keep her calm. The parting of her and her mother and been brief and tense. It was so different to the laughter with her father, seeing who could change their appearance the most before Skye's mother noticed. For the first few years, Saichi had carried all of Skye's stuff, and it was only by her insistence that he let her carry her broom, but he insisted on carrying her trunk. Her mother had made no such offer. She missed him more than she was going to admit. Her mother was ice cold, not showing emotion, and she knew that if Skye showed any emotion, she'd see it as a form of weakness. Saichi had told his daughter to cry if she needed to. Rose had always viewed it with disdain. Skye sighed, throwing her feet up on the seat across from her. This year would be better, she told herself. It would be good. Ollie had spent the last two weeks trying to think about how he was going to make his grand entrance. The more grand of his plans had been halted by a lack of magical ability. He'd wanted to storm in with a rainbow flag tied around his shoulders like a cape. But then his dad had decided to come with him to King's Cross, make a few days out of it, have some quality time in London. And as much as his father had embraced who Ollie was, Ollie didn't want to make his dad uncomfortable. But the rainbow flag was stashed in his trunk, and he hadn't ruled out storming into the Great Hall wearing it as a cape. The hug with his dad was a little awkward, but still nice. Neither of them were good at goodbyes, but the hug said enough. There was a time when he would hesitate to touch Ollie. And now his dad initiated the hug, holding him tight. Ollie pulled away, eager to find his friends. He promised his dad he would write and hauled his belongings onto the train. As he made his way up the train, looking for a friendly face, he said his hellos, keeping an eye out for someone he knew. It was wonderful to be back. He would be lying if he said there wasn't a little bit of fear. He was going to live out his life, his true self. He didn't know how people would react. He didn't know if people would still like him, but he wasn't going to hide. He'd come to that conclusion as he'd lay in the hospital, the healing magic doing it's thing. He was going to live his truth. Use your INK to craft new artifacts in Hogwarts: Dark Secrets Of The Past. Once created, Items cannot be changed, but they can be bought and sold in the marketplace.